Many people don’t associate the jaw with dental treatment, though it’s an integral part of oral care. TMJ/TMD (temporomandibular joint syndrome/temporomandibular dysfunction) is one of the more prominent conditions and relates to muscle and joint issues in the jaw. These problems can affect your speech and eating, and dentists at Adams Dental Center in Lincoln, NE, advise that symptoms need to be addressed immediately. Lockjaw: The sensitive muscles and tendons of the jaw joint serve many functions, and they can often become “stuck” with TMJ/TMD. If your mouth frequently gets stuck open or closed, you should contact your dentist immediately. Dysfunction of these muscles can make speaking, chewing, and other functions painful, and locking issues can be an early sign of the condition. Clicking or Popping Sounds: When moving your jaw in natural motions such as chewing or speaking, listen for strange sounds coming from the joints. These are often described as “clicking, popping, and grating.” In some cases, they may not be painful at all, but the abnormal sounds can signify TMJ/TMD-related maladjustments that lead to more severe issues. Facial Pain & Swelling: Jaw muscles are interconnected with other tendon and muscular systems throughout the face, so with TMJ/TMD, many areas can become inflamed. If you experience sensitivity, swelling, or pain in areas around the jaw or elsewhere on your face, especially when opening your mouth, have your dentist conduct an exam for the condition at your next appointment. If untreated, TMJ/TMD can cause more significant joint and facial issues down the road. It’s important to seek treatment if you experience any of the symptoms above, as there are many treatments available. Dentists at Adams Dental Center can inspect and diagnose any symptoms you’re experiencing, so call (402) 484-6666 today to schedule an appointment. 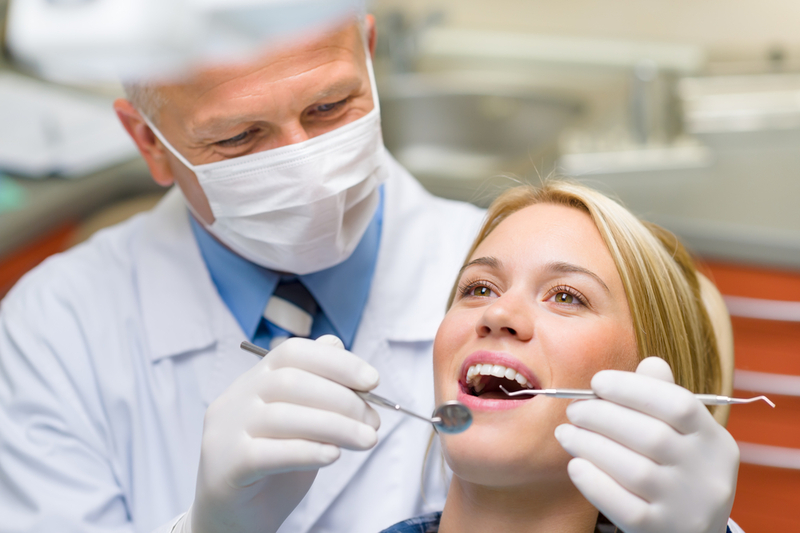 You can also visit their website to learn more about their cosmetic dentistry and treatment services.